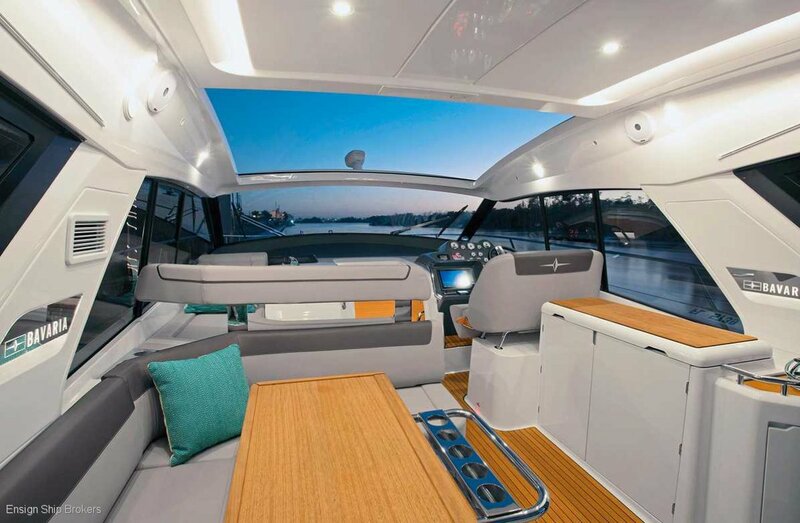 AN ISLAND FOR YOUR DREAMS - THE BAVARIA S45 COUPE. 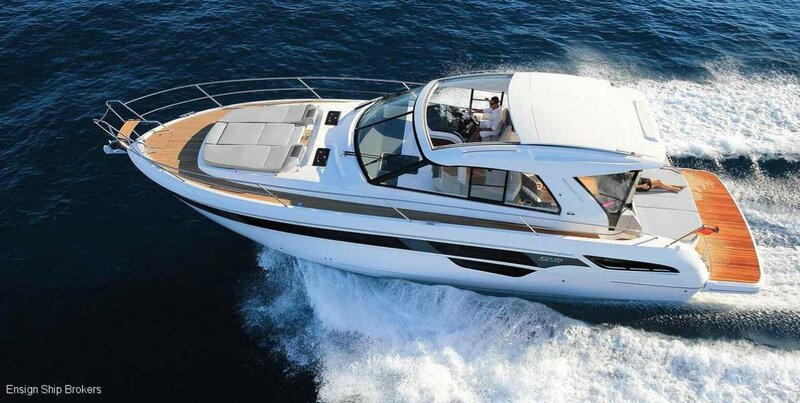 Speed meets luxury – this is the essence of the S45 and the sum of all BAVARIA’s innovations. 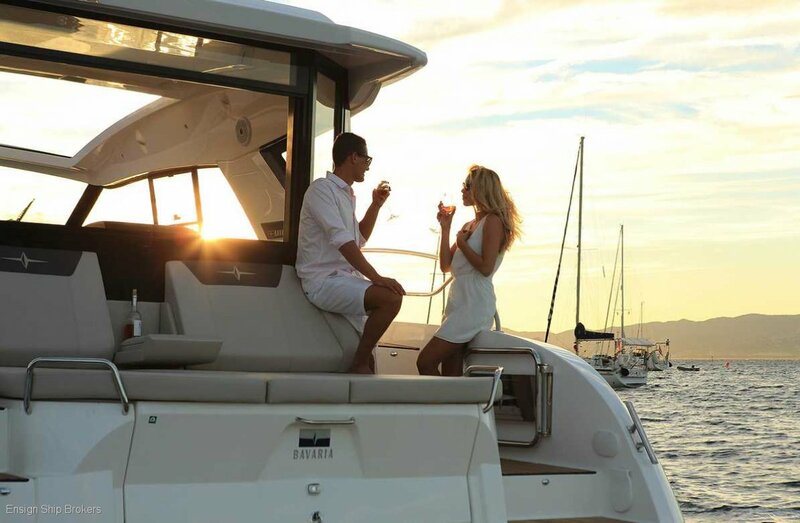 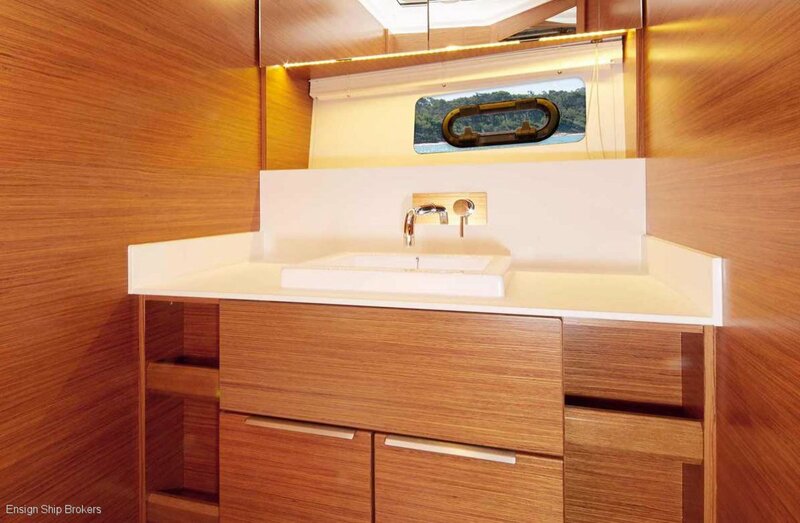 In this motor yacht, everything that makes BAVARIA so popular is brought together. 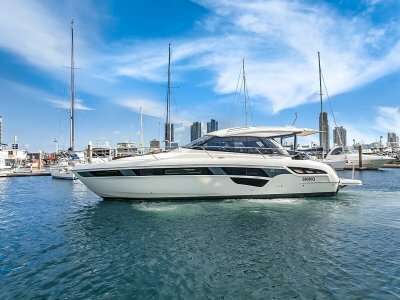 Safe, excellent performance under all conditions and an inimitable sense of design in shape and colour – we have made a dream come true. 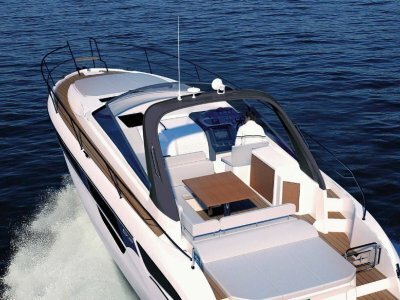 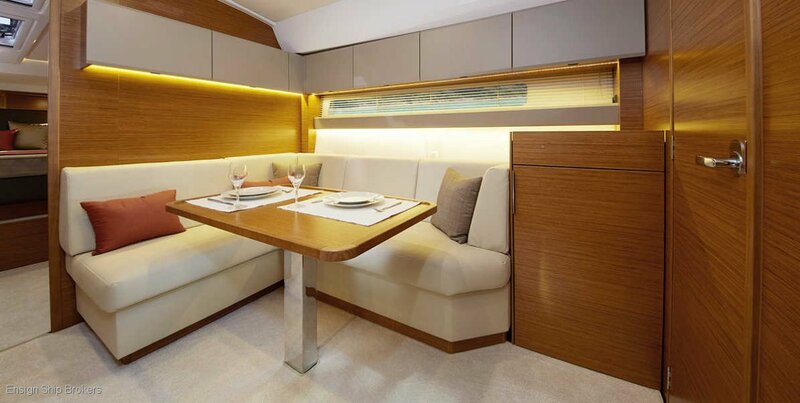 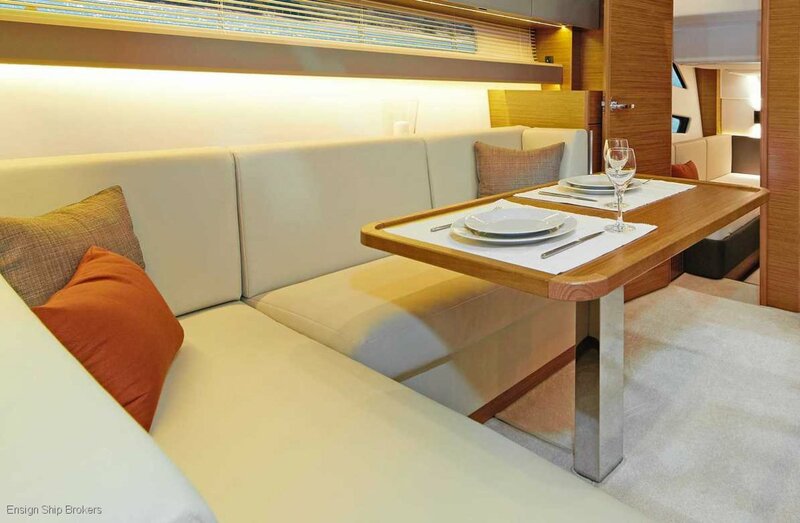 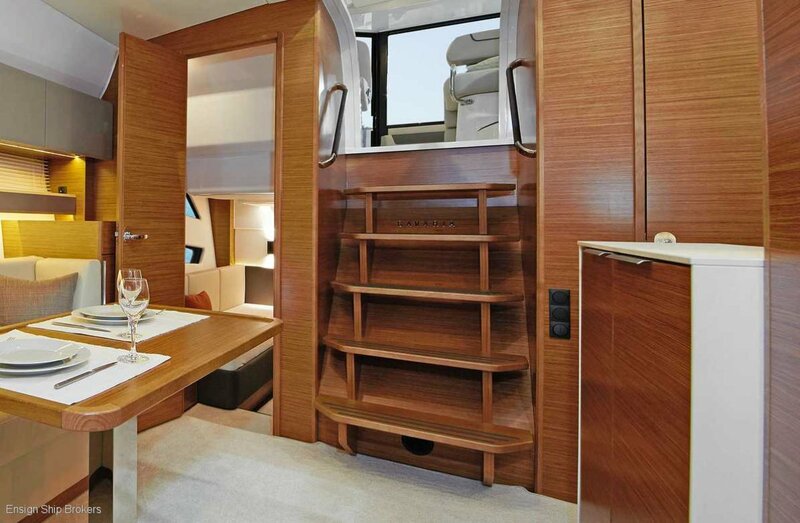 Experience the BAVARIA S45. 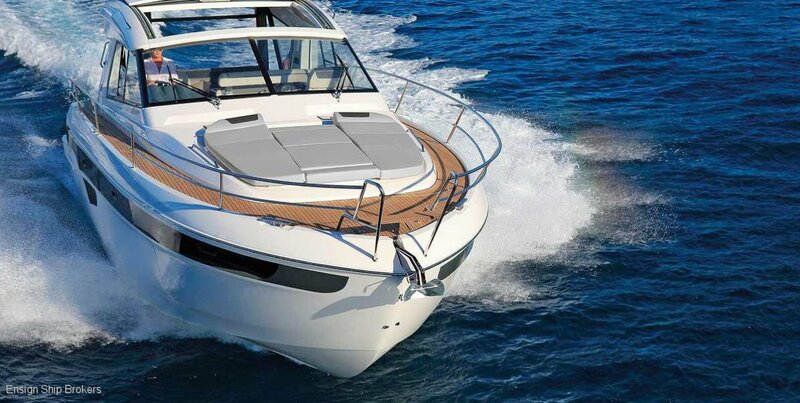 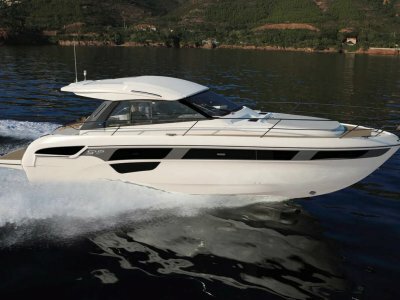 Ask us about our S45 Coupe Ex-demo vessel. 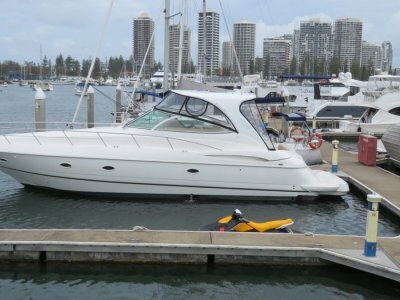 Available for immediate sale! 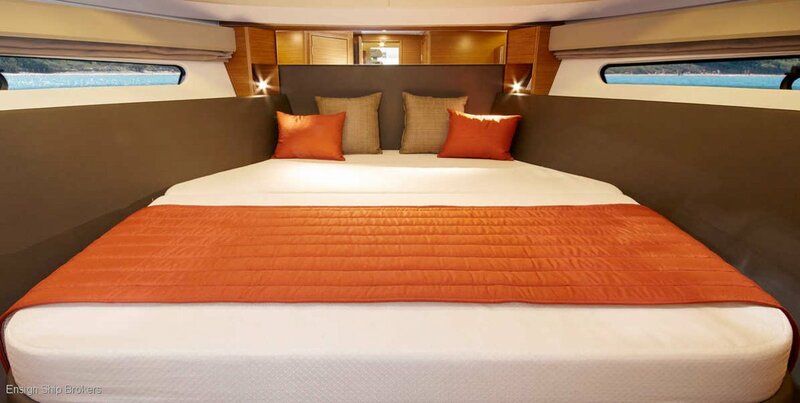 2 or 3 Cabins. 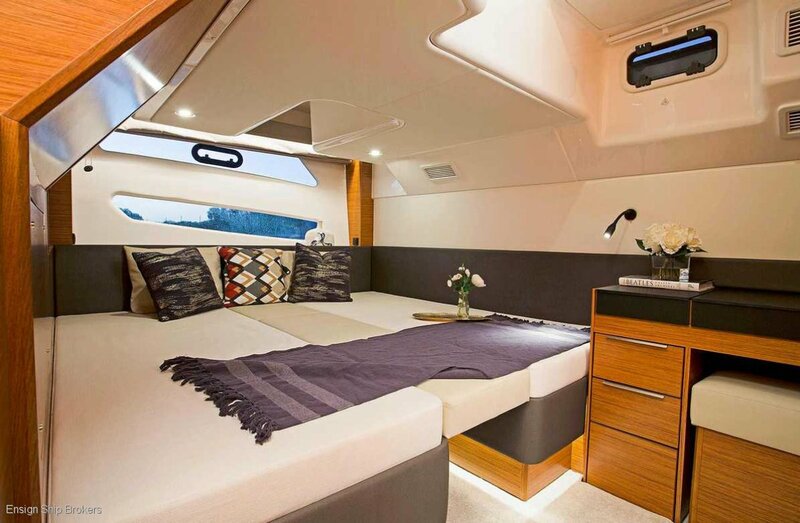 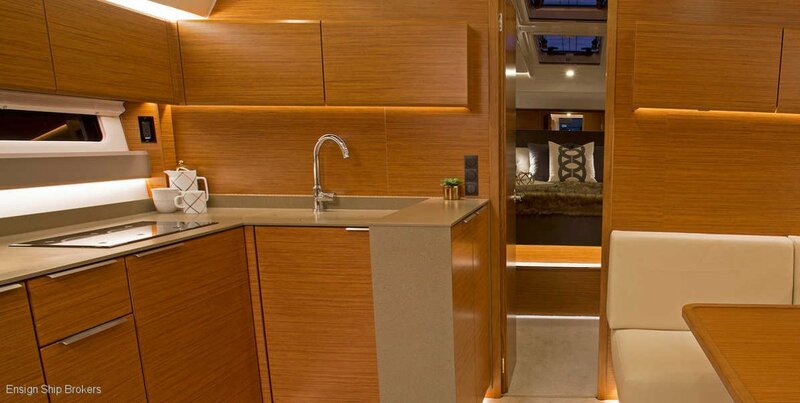 Island berth in foreship, Two single berths, convertible into a double berth in aft cabin, Interior in solid wood and veneer, Upholstery "Comfort“ standard in mahogany and chestnut floor, Mattress fabric “Living”.